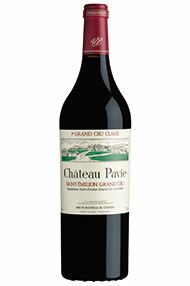 The Wine Advocate - The 2011 Pavie is composed of 70% Merlot, 20% Cabernet Franc and 10% Cabernet Sauvignon (14.3% alcohol). It possesses a certain approachability, which is somewhat disarming for the big, robust, super-concentrated and ageworthy style Pavie has favored since 1998. The opaque purple-hued, full-bodied 2011 offers a sweet kiss of kirsch, blackberry, cassis and licorice, but no evidence of toasty oak despite the fact it is bottled about six months after most other premier grand cru classes in St.-Emilion. One of the most complete wines of the vintage, this superstar possesses gorgeous texture and opulence, and can be drunk in 3-4 years, or cellared for two decades. Wine Spectator - Very ripe, but also very focused, with a distilled raspberry essence racing from start to finish, while extra licorice snap, blueberry coulis and plum pâte de fruit notes fill in the background. Long and velvety through the finish. A beautiful effort for the vintage. 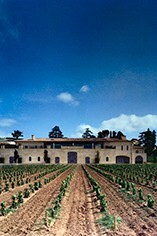 Parker - Another terrific success for the flagship estate (a 92-acre vineyard situated on the famed limestone and clay-rich slopes of Cote Pavie) of Chantal and Gerard Perse, the 2011 Pavie is composed of 70% Merlot, 20% Cabernet Franc and 10% Cabernet Sauvignon. The harvest took place between September 20-30, with final yields of a mere 28 hectoliters per hectare. The natural alcohol is 14.3%, and the 2011 may be the biggest, richest, most massive wine of the vintage. With thrilling levels of concentration, tremendous purity, high but sweet tannin, a skyscraper-like mouthfeel, and terrific intensity, depth and palate presence, this larger-than-life effort will require 5-8 years of cellaring, and should age effortlessly over the following 25-30 years. Decanter - Dark, saturated colour. Very ripe with blackcurrant and raisined fruit notes. 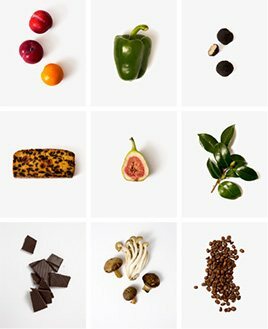 Concentrated fruit on the palate, a touch Port-like but handles the powerful tannic structure of the wine. A bold, long-term statement.